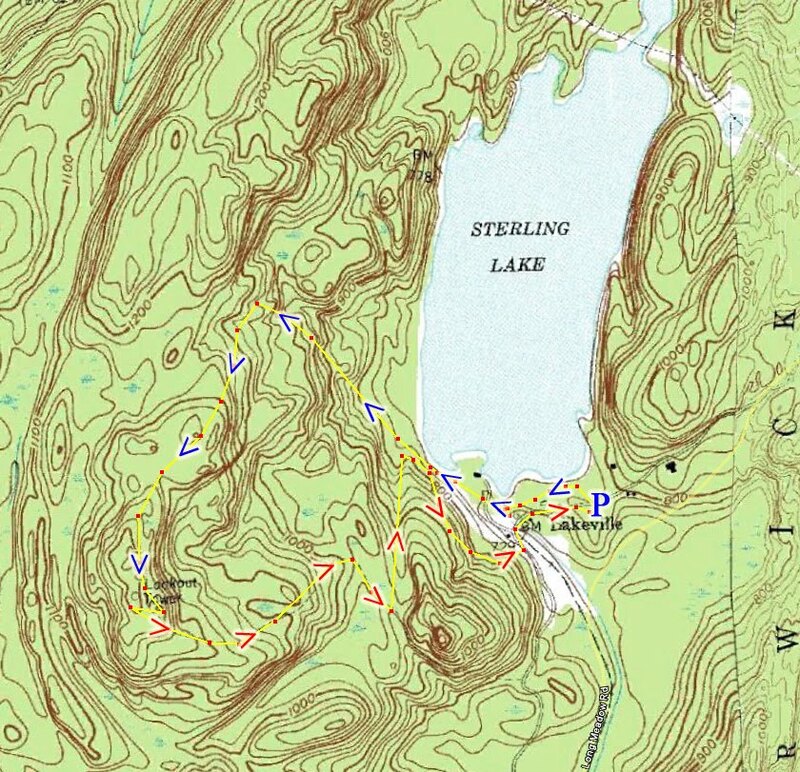 Started at the Sterling Lake Visitor Center, and took the Sterling Lake Trail alongside the southern edge of the lake to the Bare Rock Trail, where I started asceding the mountain. Climbed up to the intersection of the Sterling Ridge Trail, and went south along the Sterling Ridge Trail until the Fire Tower. The Fire Tower was closed for the season - it is only open during the summer, usually only on nice days. There is a ranger station right next to the tower and a ranger oversees the visitors who climb the tower. I did contemplate jumping the fence that blocks the tower steps, as the people in front of me had just done, but I decided against it. Part of the reason was that the weather was cloudy and foggy anyways, so my view would have been limited. 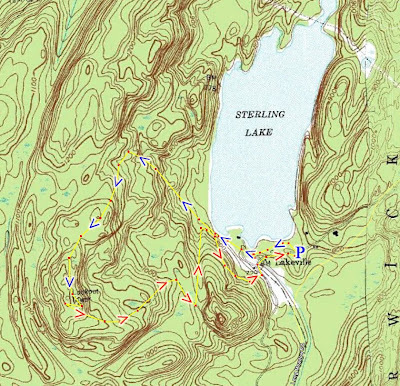 From the Fire Tower, descended along the Fire Tower Trail, which is actually more like a dirt road, to the Fire Tower Connector Trail, which took me back to the south shore of Sterling Lake and the Sterling Lake Trail. Took a turn off the Sterling Lake Trail to the Iron Mine Trail, which walks through all the ancient workings of the massive Sterling Mine. It walks next to the mine pits and dumps, and goes next to the old abandoned mine buildings. It then goes through to the old Sterling Furnace where the Iron Ore was smelted. From here took the road back to the parking lot to return to my car. Sterling Lake with Mountains in background. Same picture as above zoomed out. View from the Sterling Ridge Trail. Looking north toward Sterling Lake. The Fire Tower with the ranger station. More Ruins at Sterling Mine. The further building in the cable hoist. One of the mine adits. Entrance is sealed off by a gate. The Sterling Furnace, where the iron ore was smelted.